“Straight Outta Compton” star O’Shea Jackson, Jr. is in talks to join the cast of Legendary’s “Godzilla: King of Monsters,” TheWrap has learned. Jackson would join a cast that is headed by Kyle Chandler, Vera Farmiga, and “Stranger Things” star Millie Bobby Brown. “Krampus” director Michael Dougherty is attached to the project as writer-director, with Zach Shields as co-writer. Alex Garcia will oversee for Legendary. “Godzilla: King of Monsters” is a sequel to the 2014 “Godzilla” film starring Bryan Cranston and is part of Legendary’s cinematic universe that also includes the recently released “Kong: Skull Island,” which enjoyed a strong opening in China this past weekend and has accumulated a $392 million global box office cume. “King of Monsters” will build towards the crossover tentpole “Godzilla vs. Kong,” which will be released in 2020. 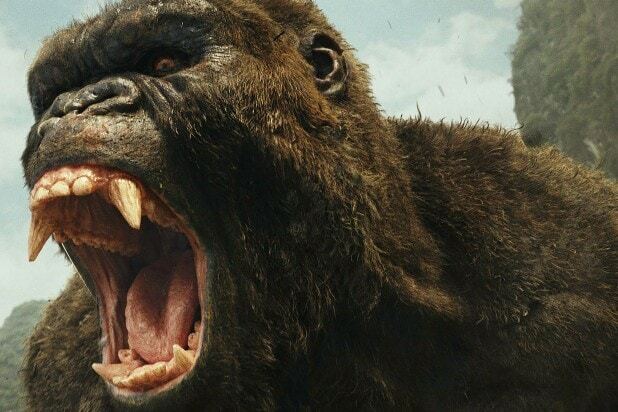 Both films will be distributed by Warner Bros. as part of a deal that moved distribution of “Skull Island” from Universal Pictures — which currently has a distribution deal with Legendary and distributed Peter Jackson’s 2005 remake of the original “King Kong” — to WB in order to make the Godzilla/Kong confrontation possible. 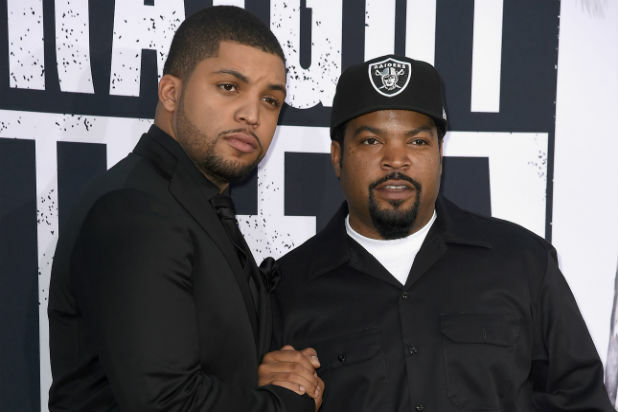 Jackson played his father, legendary rapper Ice Cube, in the hit N.W.A. biopic “Straight Outta Compton” in 2015. He will next appear in the dramedy “Ingrid Goes West,” which premiered at Sundance this year and will be released in August. “Godzilla: King of Monsters” will be released March 22, 2019. Jackson is represented by WME, Cube Vision, and Ziffren Brittenham. Roland Emmerich's overhaul of Toho's most famous kaiju was panned by critics, including Siskel and Ebert, whom Emmerich mocked with characters meant to be thinly veiled parodies of the two critics. Siskel and Ebert were not impressed, saying they if they were going to be mocked in a Godzilla movie, they should have been "squished like a bug." The magnum opus of Joe Dante, one of the most famous creature feature directors ever. Dante was known for his macabre, cartoony creatures, with his most famous being Gizmo, the alien centerpiece of "Gremlins" whom is taken in as a pet and spawns an army of far more destructive brethren. The "Jurassic Park" movies have ranged in quality over the years, but the desire to see dinosaurs chase humans too stupid to realize that resurrecting them is a bad idea has always been a hot ticket. Despite lukewarm reviews, "JP III" made $369 million worldwide. Made 16 years after Emmerich's version, Gareth Edwards restores Godzilla to a form more resembling his classic Toho appearance. The film was better received by critics and audiences and has now spawned a cinematic universe that will lead to Godzilla doing battle with King Kong in a 2020 crossover. M. Night Shyamalan was riding at the peak of his "Sixth Sense" popularity when he made this alien film in which the invaders' biggest weakness is -- SPOILER ALERT! -- water. While it was a box office success, "Signs" marked the start of a long series of critical pans for Shyamalan that recently ended with his praised thriller "Split." In the classic style of sequels raising the stakes, "The Lost World" featured a grand finale in which a T-Rex escaped its confinement and began destroying San Diego. Since such destruction would permanently kill the idea of a dinosaur theme park, "Jurassic World" decides to just ignore this movie. The pedigree of the "Jurassic Park" franchise, combined with the immense popularity of leading man Chris Pratt made "Jurassic World" and the growing power of the Chinese box office turned "Jurassic World" into a hit to the tune of $1.67 billion worldwide. So naturally, a sequel is set to be released next year. To quote the greedy Donald Gennaro in the original "Jurassic Park": "We're gonna make a fortune with this place."